Don’t let the kids climb all over your furniture! 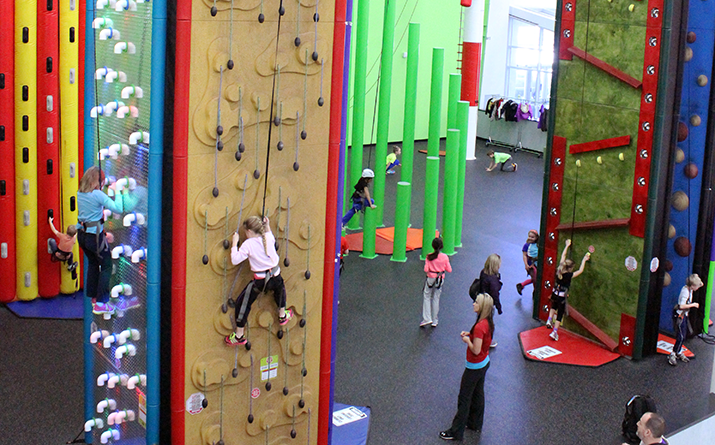 Instead, come to Clip ‘N Climb at Spooky Nook Sports, where they can climb all over our obstacles in our super exciting climbing arena. Clip ‘N Climb is good, healthy fun with lots of exciting climbing challenges to keep everyone happy. 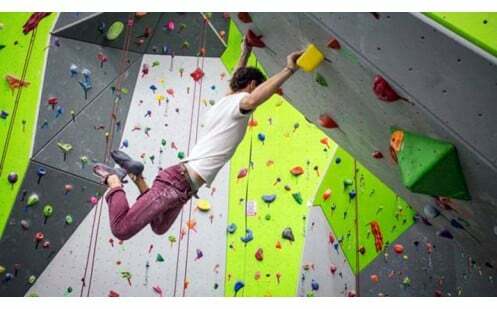 Clip ‘N Climb sessions work on a first come serve basis and are limited to 25 climbers per hour session. To make a reservation or check availability, call us at 717.618.8561 or contact Adam Bofinger with questions at 717.618.8519. Click here to complete our digital waiver and expedite your check in process. Sessions start at the top of the hour or on the half-hour. Clip ‘N Climb is an excellent birthday party option! 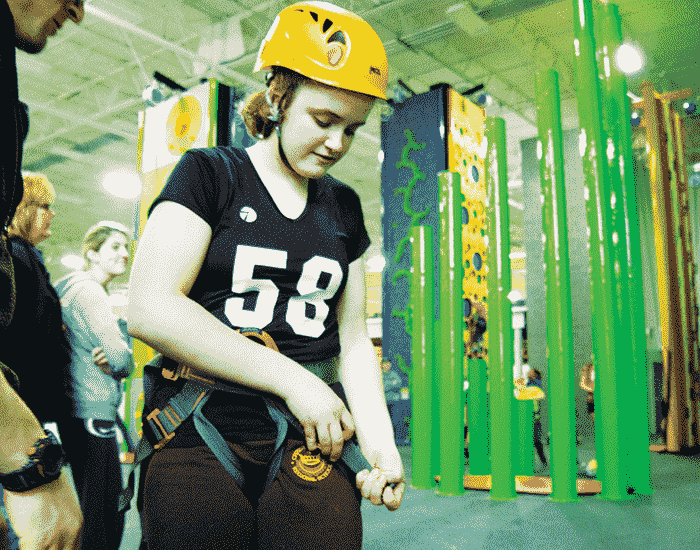 Spooky Nook Sports offers packages complete with Clip ‘N Climb, pizza, arcade time, and more. All children under the age of 18 must have a waiver signed by their parent or guardian. Click the Policies & Waivers link at the right to find a waiver. Anyone under the age of 13 must be accompanied by an adult at all times. Expedite your check in process by completing our digital waiver here.